Soothsayers have predicted a meteor shower will sparkle across the night sky near the end of April. Shortly after that harbinger, they say a celestial alignment will occur, and many dimensional pathways will open at Dachaigh. Travelers who exited the portal from the Slithering Ouroboros Tavern in February will be arriving at Dachaigh, to be met by portal travelers from other worlds. Mark your calendar, and show up to see who or what steps through the portals that night. Will there be conflict? Will there be treasure? We know for sure there will be interesting characters from far away lands — enjoy spending time with those who come through. Costume Ideas: Adventurer, portal traveler, your Dark Ones persona, or medieval garb. Portals between worlds to converge on April 29, 2017 at Dachaigh and The Dark Ones will be there to witness and partake in the revelry! 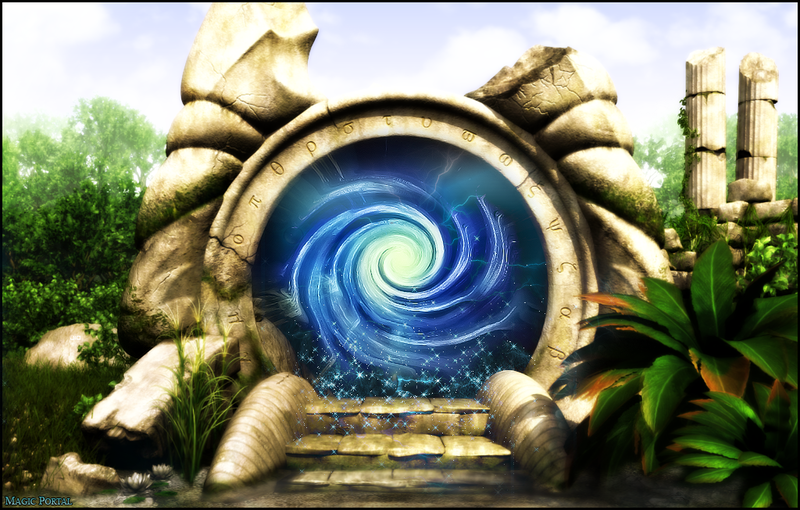 It is now known that many portals to our world will open at the end of April. Enjoy spending time with those that come thru. A chance for learning and treasure or maybe for conflict… remember to watch out for those conquerors that only wish to raid and war upon or fair lands… taking home the spoils. This world has a history of great changes from outside forces. Sometimes every few years, sometimes after a few dozen years, sometimes after centuries… But a harbinger does appear, one week prior to the portals opening you can witness the celestial signs that predict the openings… watch for the Lyrid Meteor Shower during a Waning Crescent Moon.Portals or Gates can bring new arrivals to compete using: culture, weapons, bodies, magic, life forms and often ideas. Every time the portals open another set of strangers come seeking. Desiring lands to dwell in, wealth, commerce or slaves… or some just freedom for themselves. The gates themselves are ancient, opening for a while, then closing again, leaving their changes to the world to mature while the gates are sleeping.